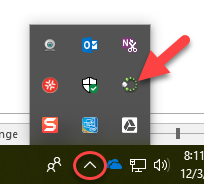 If LanSchool has been made available to your school, you should be able to install it on your HCDE Windows teacher computer yourself by opening "Software Center" from the start menu and then launching the LanSchool installation from the list of available applications. If LanSchool is not in the list of available apps, or you get an error message stating that you do not have permission to install it, then contact your school's TC. How Do I Start LanSchool? How Do I Get My Students Loaded in LanSchool? “Dynamic class lists” are updated nightly and make it easy to load your classes in LanSchool. Information on how to use Dynamic Class lists as well as other helpful hints can be found here (login required). Please see the HCDE LanSchool guide (login required) for more helpful tips on using LanSchool.